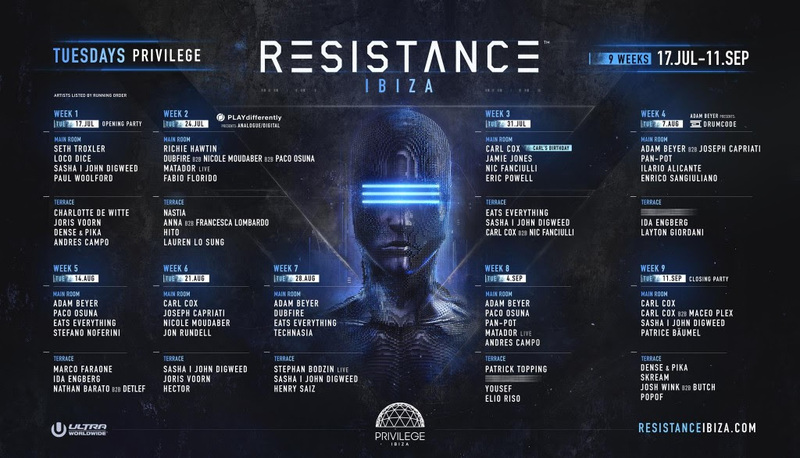 RESISTANCE Ibiza recently announced the full lineup for its nine-week residency at Privilege. The residency will kick off at the Opening Party on July 17th and runs every Tuesday until the Closing Party on September 11th. 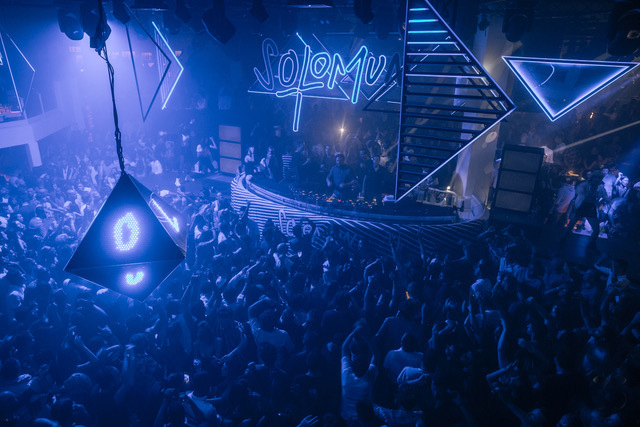 The Opening Party will have Seth Troxler, Loco Dice, and Sasha | John Digweed headlining the Main Room while Charlotte de Witte, Joris Voorn, Dense & Pika, and Andres Campo will play on the Terrace. 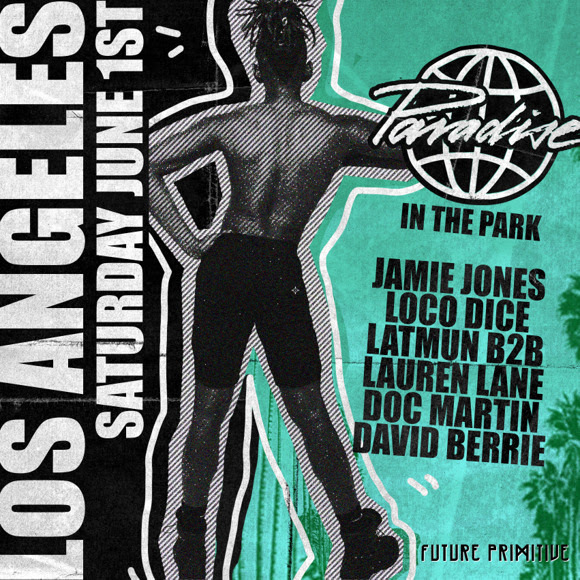 The Closing Party will see Carl Cox reclaiming his throne for a solo set and a first time B2B set with Maceo Plex. Sasha | John Digweed will be back on the Main Room decks with Patrice Bäumel. 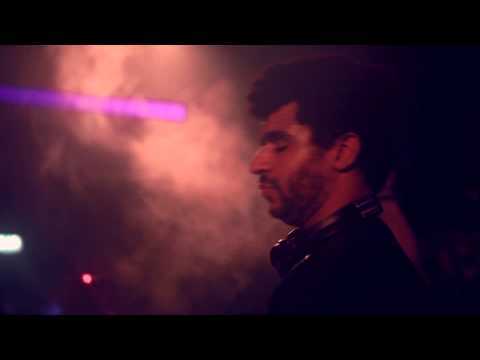 Dense & Pika, Skream, Josh Wink B2B Butch, and Popof will simultaneously take over the decks on the Terrace to cap off the Ibiza season. 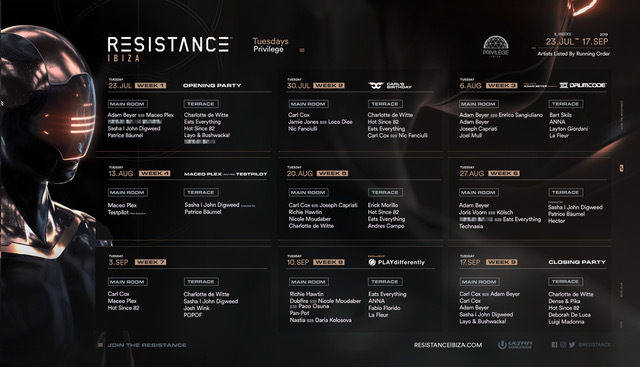 Tickets are on sale here for RESISTANCE Ibiza at Privilege. 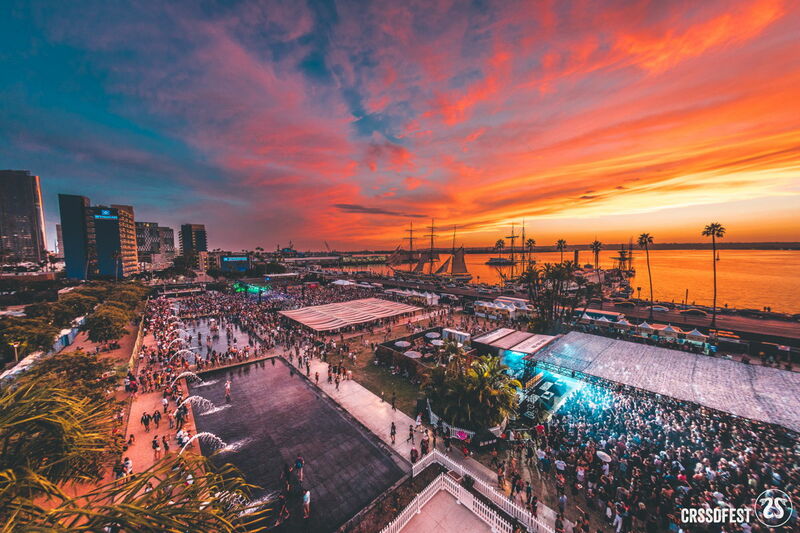 Checkout the “RESISTANCE IBIZA 2018 Lineup Announcement” video and the RESISTANCE Ibiza 2018 Lineup & Program below! Next Another Festival, Sun City Music Festival 2018, Cancelled! 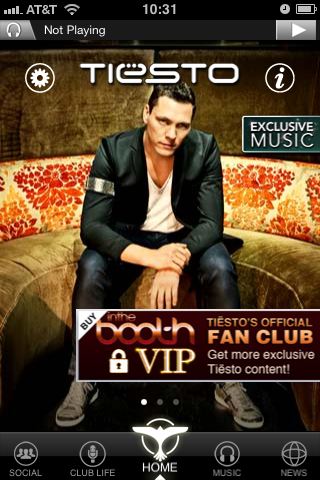 Time Warp Sets & Official After Movie! 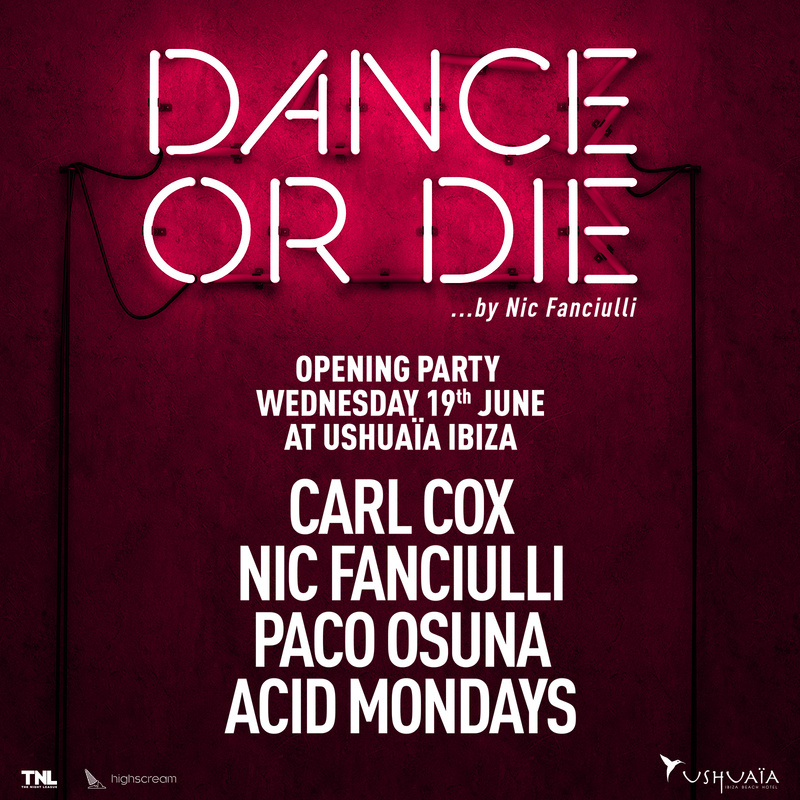 Lineups for the final 4 weeks of Carl Cox at Space Ibiza! 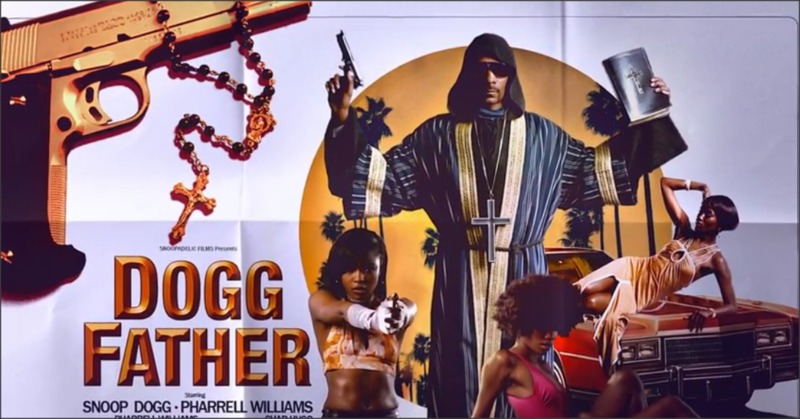 New funky jam from Snoop Dogg! 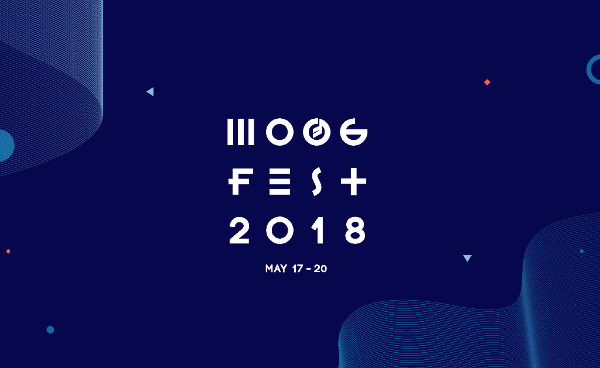 Moogfest 2018 Announces Phase One Lineup + Live Stream!